Fun educational places to visit while homeschooling in South Carolina. Field trip sites recommended by your Homeschool Guide. 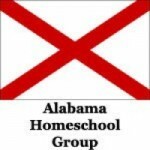 Favorite educational field trip ideas for kids in Mississippi. Websites recommended by your Homeschool Guide. Learn about the history of New orleans, LA. Find attractions and fun, educational things to do with children.